Do police officers struggle with becoming bitter toward the public? 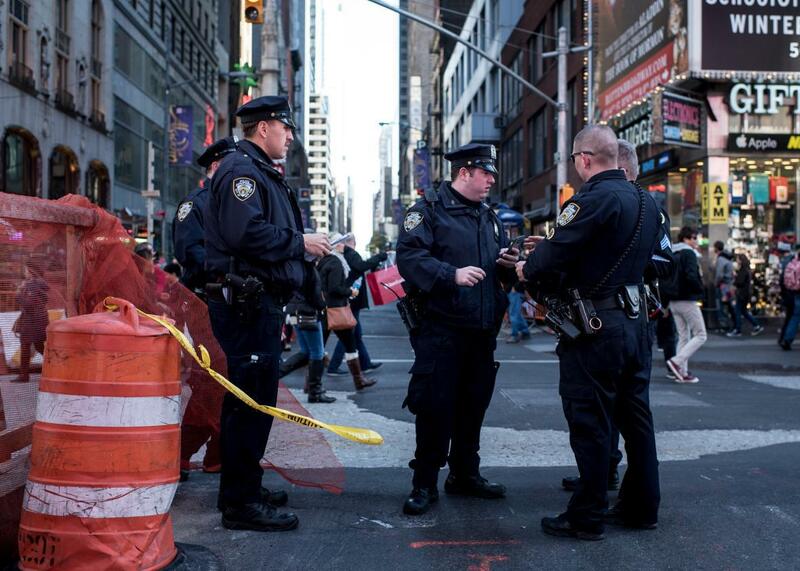 Police officers keep watch in Times Square on Nov. 14, 2015, in New York City following terrorist attacks in Paris. Yes. This is particularly a problem when the officer is dealing with a group who he perceives is always making work for him. The city where I worked was a tourist destination with lots of money and liquor in the mix. It drew a disproportionate share of people who are now called “homeless” (we usually referred to them as “vagrants” or “drunks”) who would panhandle, buy, or otherwise acquire alcohol, and get drunk in parks and other public places. They had very low standards of hygiene, occasionally fought (not very effectively) with officers, and committed many petty offenses that took a great deal of time and resources to deal with. It was very easy to depersonalize these people and essentially forget they were human. When I worked there, management didn’t make much of an effort to discourage this. The only time anyone would get into trouble over a drunk was when something truly over-the-top happened. For example, a two-officer team working the drunk wagon were loading up the drunks and then racing out of town 20 or 30 miles to the boonies, then dumping them at the side of the freeway. They got fired, but several attempts at trying them were all frustrated by witnesses who were either too drunk to testify or who just couldn’t be found when they were needed. That same agency now has a homeless outreach program that is the model for other agencies in the U.S. and elsewhere. The sort of behavior that was common in my day is not tolerated now. I think this is a low-intensity version of the dynamic that takes place with combat troops in war time, especially if the enemy is a different race or ethnicity than the troops. In past wars, enemies of the U.S. have been referred to as all kinds of slurs. It’s a lot easier to dehumanize someone if he or she doesn’t look or act like you do. Depersonalizing the opposition makes it easier to kill them without as much emotional baggage. You’re not shooting a person; you’re shooting a [insert ethnic slander here]. Stage one: People are all the same. There are good people and bad people, and my job is to keep the bad people from hurting the good people. Stage two: There are two kinds of people: cops, and everybody else. I trust only the cops. Stage three: A lot of the cops are assholes. The only one I can trust is my partner. Stage four: I’m not so sure about my partner. The organizational culture of the law enforcement agency largely dictates how pervasive this sort of attitude is allowed to be. It’s not tolerated in some outfits, and it’s status quo in others. Police procedures: Why don’t police use more non-lethal tools to subdue suspects? Interacting with police: Do the families of undercover police officers know they are undercover? Police and law enforcement: What’s lunch like for a cop when you are still on duty?